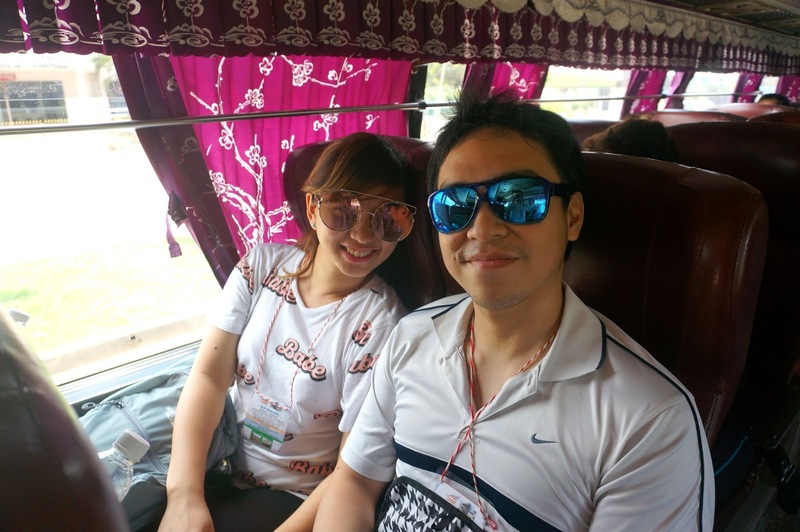 ChaMike from Cambodia to Thailand. 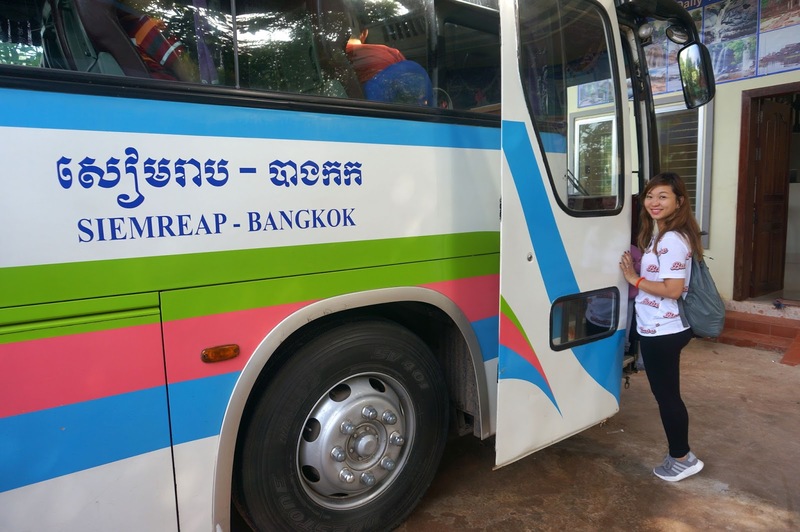 While reading reviews and blogs I knew I could count on www.bookmebus.com for our travel from Siem Reap to Bangkok. I was a bit hesitant at first but was convinced later on since the website had proven its legitimacy from actual travelers. 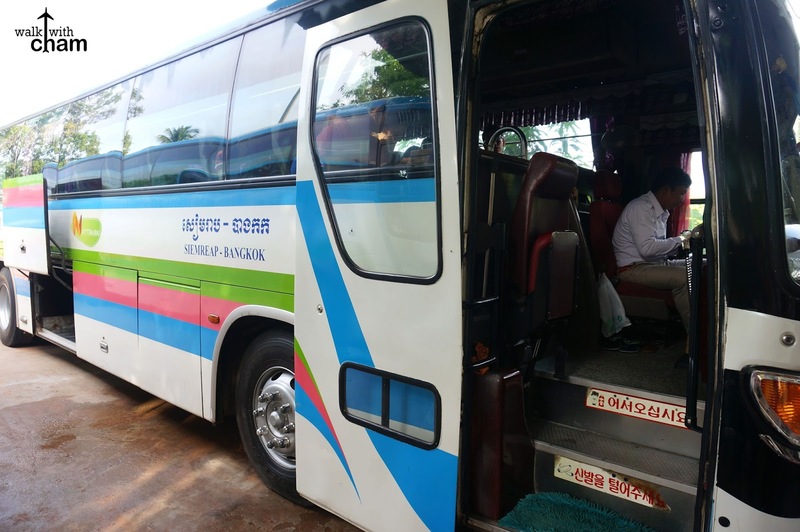 Book Me Bus is a website that arranges bus and ferry booking from different bus and ferry operators. 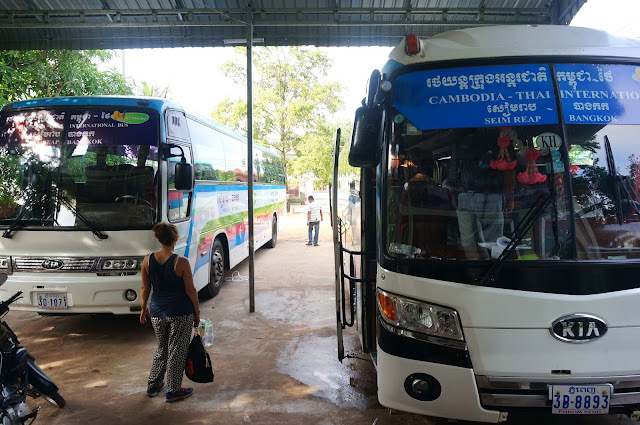 These bus and ferry companies conduct travels from countries like Vietnam, Laos, Cambodia and Thailand. 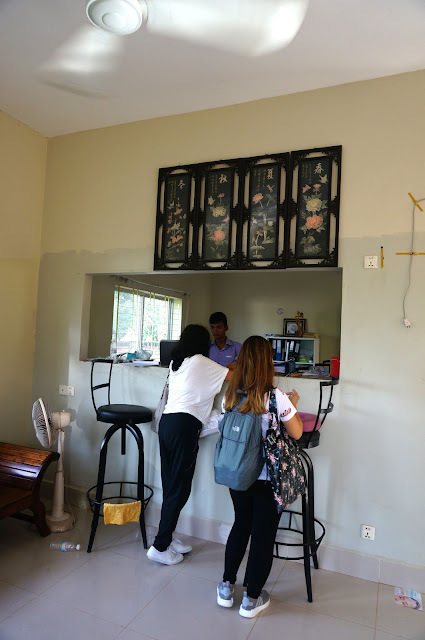 I booked 4 tickets from Siem Reap to Bangkok and paid online via credit card. You can also chat with them if you have questions in your booking. After I booked four tickets (ChaMike and my aunts) they provided an e-ticket and I printed it as proof. 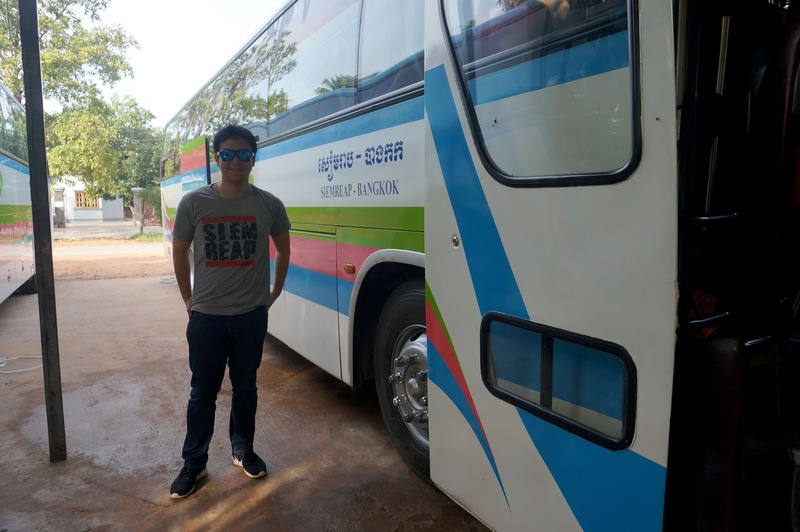 Nattakan was the bus company that services direct route from Siem Reap to Bangkok. They offer free pick up from hotel to terminal in some areas in Siem Reap. 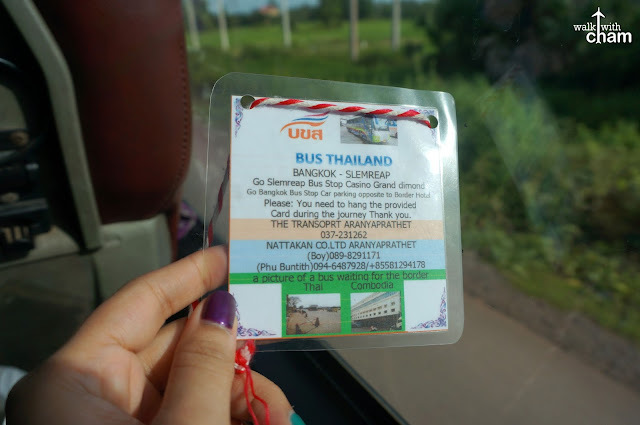 Unfortunately our hotel was not in the location they do their pick up so we had to get a Tuk-tuk (which was also a hotel complimentary) from our hotel to Nattakan bus terminal. 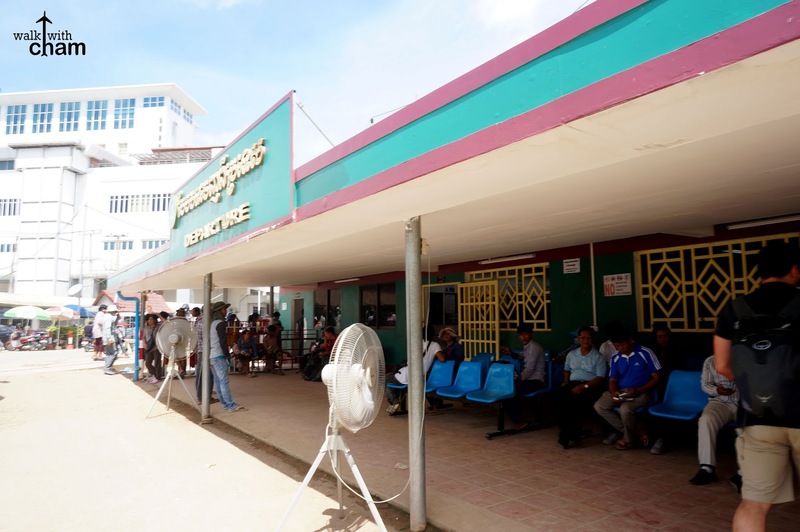 It was just a small rural terminal, we handed our e-ticket and was asked to write down our names on the logbook. Even if the terminal was compact and old it leaves on time based on the given schedule. 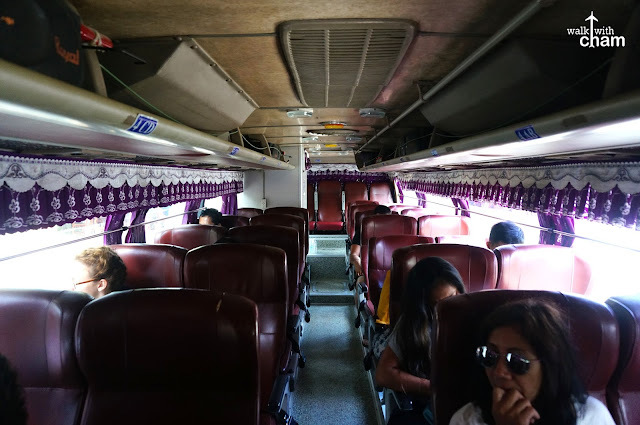 Nattakan Bus was an old air conditioned bus that has a toilet inside (which I didn't get to use). The conductor handed us IDs and were asked to wear it all the time. 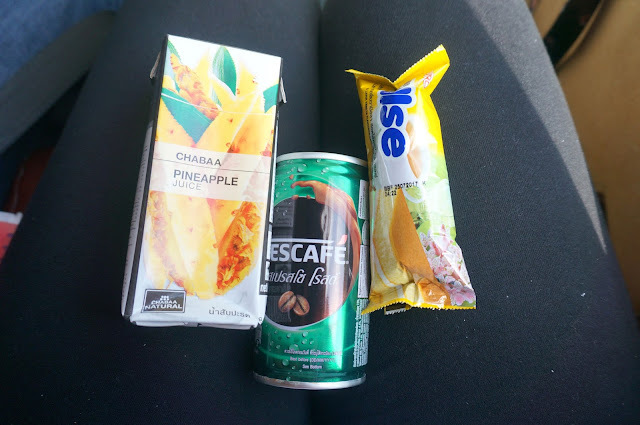 We were also given snacks on board - nadaig pa ang Cebu Pacific. After three hours we were dropped off at a very provincial place. We were not asked to get our luggage but we were reminded to bring our carry on. The instructions from the conductor was not at all clear so we relied on the other passengers traveling with us. 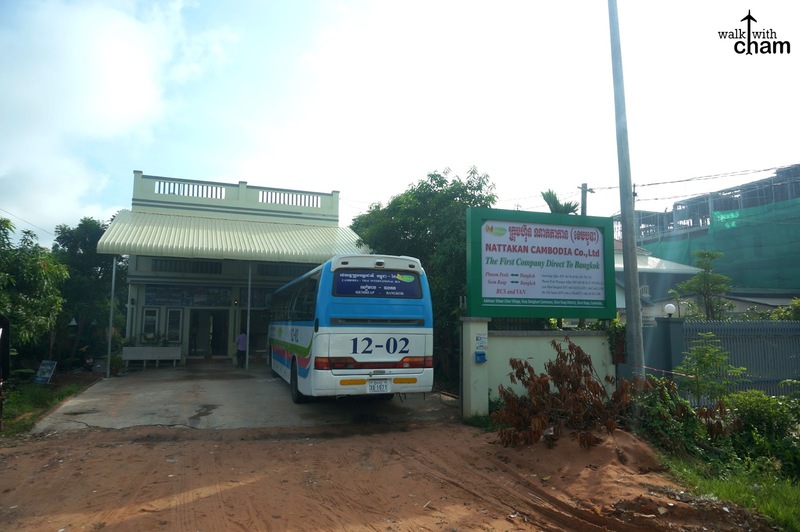 The Cambodian Immigration was just small and it took us around 10-15 minutes inside. After the Cambodian Immigration, we walked under the scorching heat on chaotic roads where there were no clear directions on where to go next. 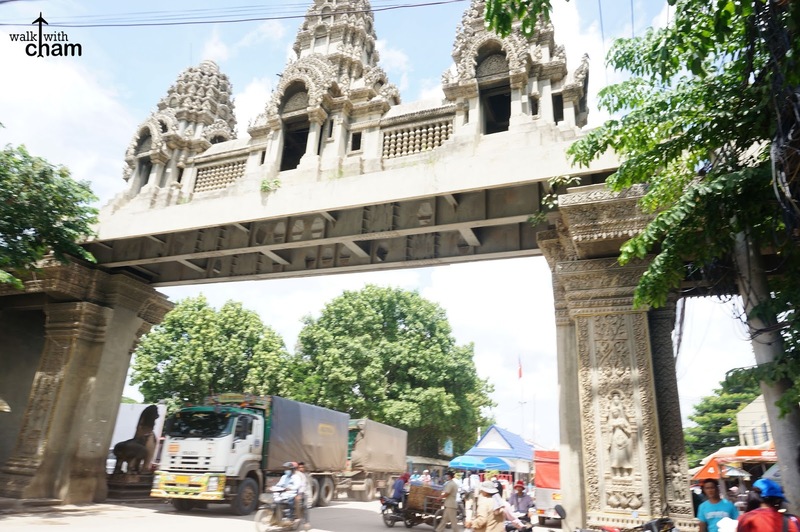 We just went straight until we saw a Khmer arc design and hoped we were on the right track. 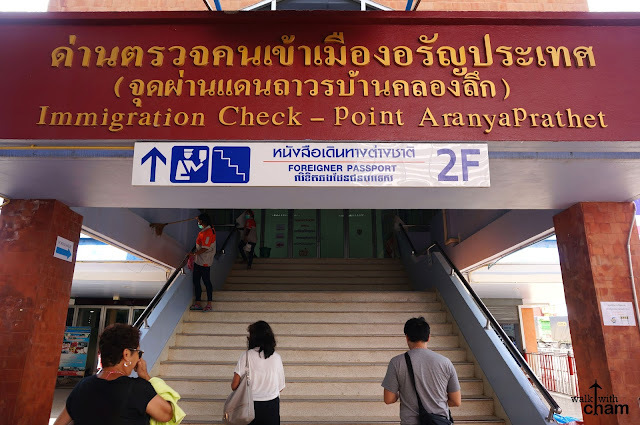 Finally after walking for around 10 minutes we finally saw a sign that read Thailand Immigration so we knew we were not lost. We went up the second floor and filled up the immigration card. The immigration process took about 15-20 minutes. 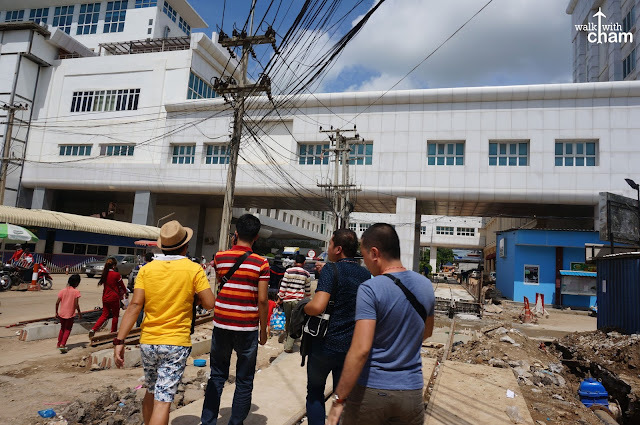 We began walking again following other travelers and arrived at an x-ray checkpoint. 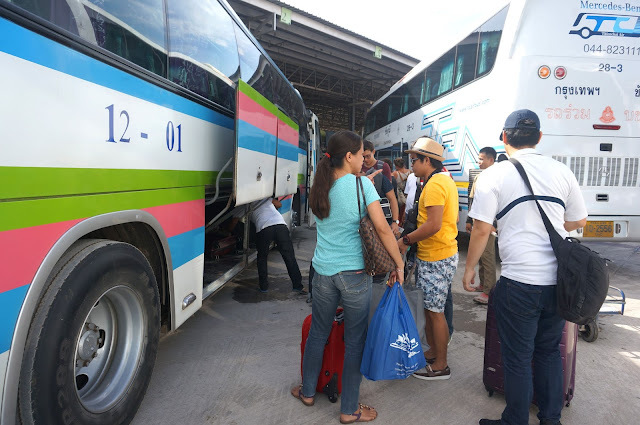 After a few meters we saw our bus and hurriedly ran as it was so hot outside. 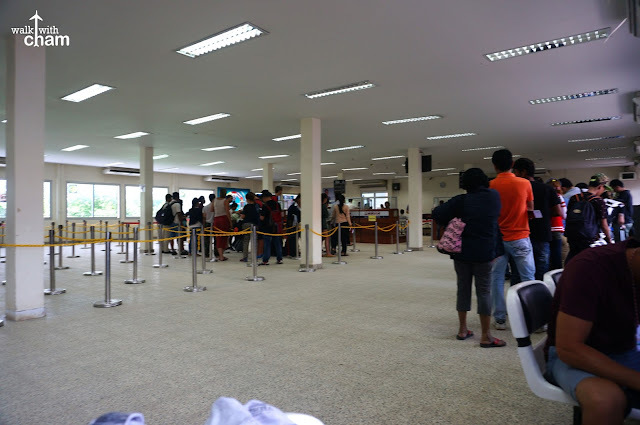 It was another 5 hours from the immigration to Bangkok proper. 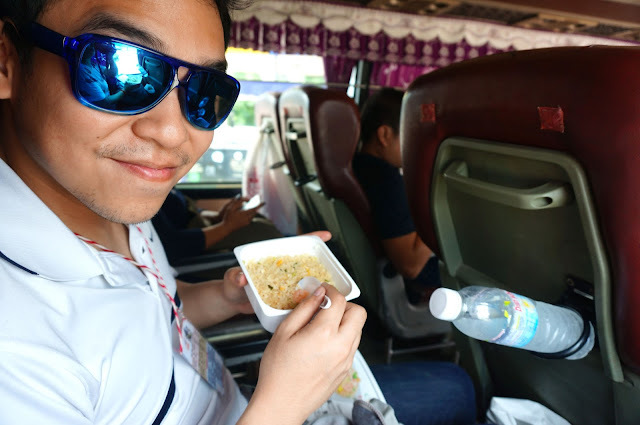 Good thing they provided another meal heavier than our first which Mike loved - it was a hot instant fried rice from 7-11. hehehe. Bangkok Bus terminal! We've arrived!